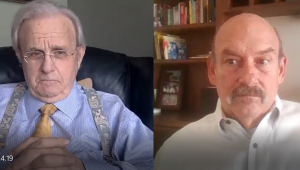 Join Greg Hunter as he goes One-on-One with Jim Sinclair and Bill Holter of JSMineset.com. There is much free information, articles and analysis on the home page of JSMineset.com. To get even more original information, articles and analysis, you can become a subscriber for $129 a year. Click here to be a subscriber to JSMineset.com.